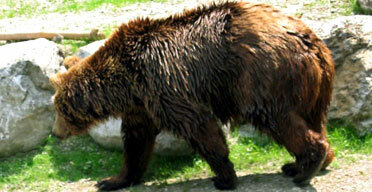 Do you remember Bruno the bear, the brown bear whose story made headlines last summer? After having been happily and safely resident in Italy for years, Bruno made the mistake of straying across the border into Bavaria, where it was shot by a hunter, despite its status as a species theoretically protected across the EU. Well, I am equally bound to say that we should be very careful. Besides, who is afraid—as St. Francis of Assisi would have said—of Brother Wolf? An interesting story too ... I didn't realise. Europe is so strange to me ... little countries on a big landmass, all trying so desperately to be different ... because they are and yet animals crossing borders and being shot for it, is simply insane. I agree with you, Di, but I look forward to reading a post of your own and writing "Oh Italiano!!! Thanks!"